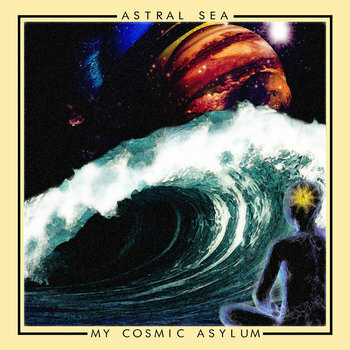 Astral Sea are an Instrumental Space Rock/Doom/Blues-Rock/Stoner Rock band from Germany who have just released their excellent debut EP – My Cosmic Asylum. WOW. This EP is plain and simple – AWESOME. It's a spacey cosmic journey that will impress the hell out of you from the very first listen. If you're not moved by opening notes of epic first track – My Cosmic Asylum – then there is no hope for you. Imagine Karma To Burn jamming with Hawkwind. That's the vibe you get with Astral Sea. 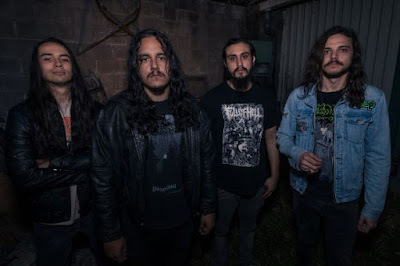 The riffs come thick and fast as Astral Sea don't mess about where the music is concerned. My Cosmic Asylum is trippy as hell. Who needs drugs when the riffs are as good as this. Astral Sea have something addictive about them. They draw you in and your their prisoner until the EP finishes. You won't care as you will be having too much of a great time. The drumming is immense on this release as Kevin pounds the hell out of those drums. Though he is ably supported by Miles and Thomas and guitars respectively. The stand-out track is the opening almost 12 minute epic title track as it shows you what Astral Sea is all about. 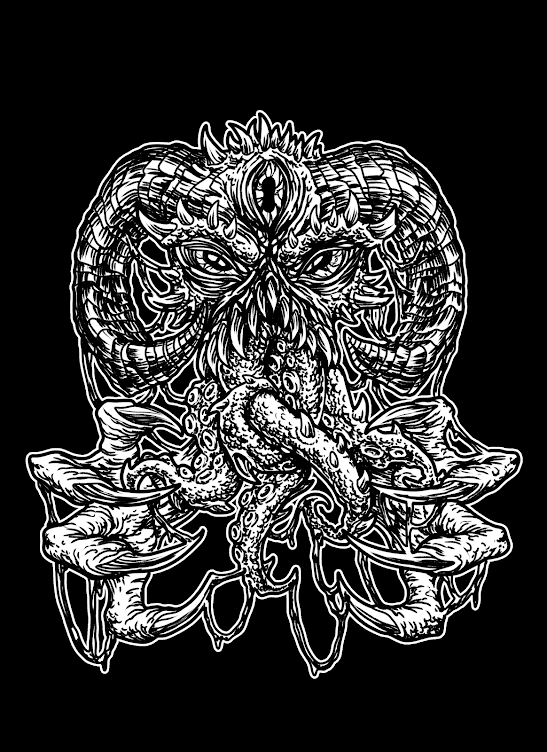 Trippy psychedelic stoner riffs to lose your mind in. Things start very quietly on 2nd track – Critical Mass – with a soothing blues based post-rock vibe slowly taking over. It adds a sense of calm to proceedings though Astral Sea turn this mood on it's head with loud Space/Stoner Rock riffs being the main attraction once again. It's a beautifully played sonic experience that shows you how supremely talented these guys actually are. Someone guys these guys a record deal now. As they are a very special band indeed. Make up your own minds as My Cosmic Asylum is available for free download on BandCamp. So there is nothing stopping you to check out this brilliant band now. You won't be sorry.